Samsung might have a major design flaw in the Galaxy Fold. 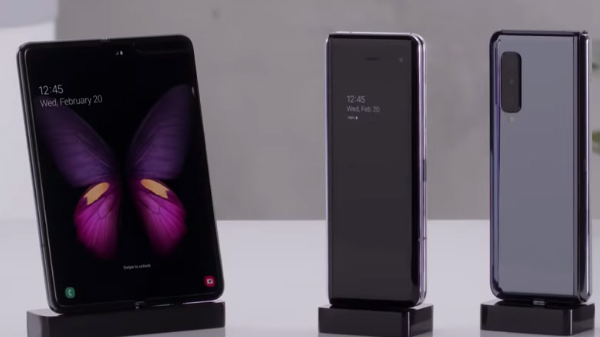 We got the first glimpse of a foldable smartphone at the MWC 2019, where companies like Samsung and Huawei opened the gates for new form factors. Unfortunately, the devices were only available for viewing and not experiencing. Yet, people were able to notice the crease in the middle of the Galaxy Fold's display which is because the panel is made of plastic and not glass. However, the crease remains for a short period of time, it would still leave a permanent mark in the long run. We were yet to see any unofficial videos of the device, until now. A new video shows the device in its full glory, including the crease on the screen. The video appears to be a promotional video for a Vietnamese network-unlocking service and shows how the device holds in hand. The video shows that the outer display is very small while the inner display is relatively large. Most importantly, we get to see the crease in the center of the screen which wasn't shown in the official videos. Though the crease is expected to appear after 10,000 folds, this units appears to be new and shouldn't show such design flaws so early. Rumor has it that Samsung will be replacing these screens for free, but if the device shows such imperfections so early, there's no point of the changing it over and over. But, let's wait for the product to hit the markets before passing final judgment. Also, the video comes from Vietnam where these phones are manufactured and we could be looking at a pre-production unit.